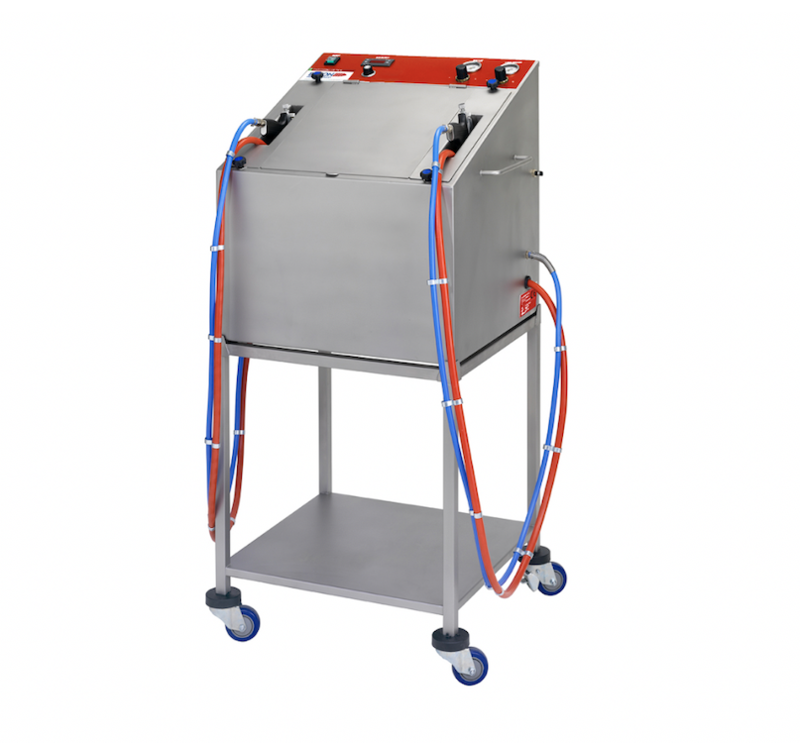 The Chocolate World spraying cabinet is designed for consistency and cleanliness in mind. It allows the user to the chocolate spray and oil mist from spreading anywhere else. 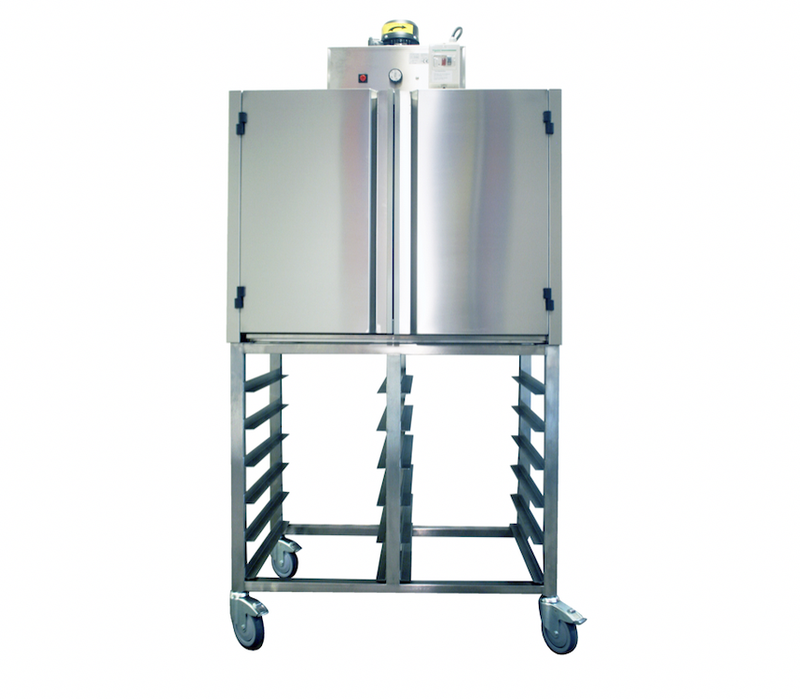 In the back of the cabinet there is a removable easy-clean spraying panel and collection tray. be used as an extra tray or screen against staining. 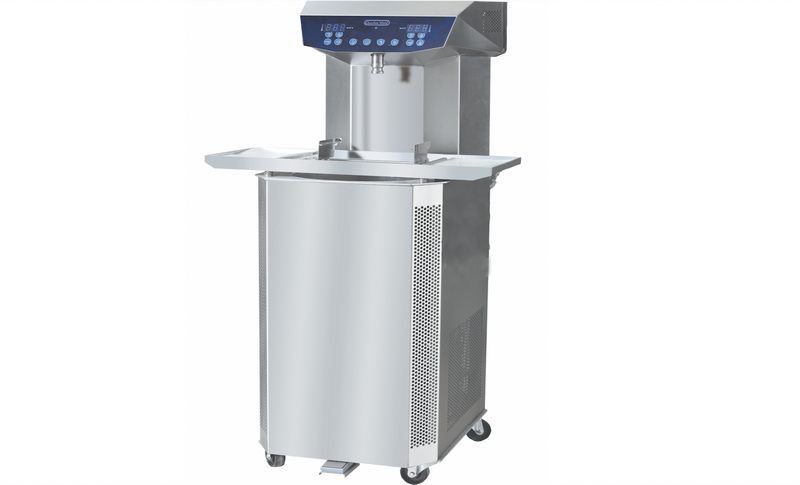 Optional stand can be ordered, stainless steel frame, in conformance with professional kitchen standards. Frame rests on PVC feet. 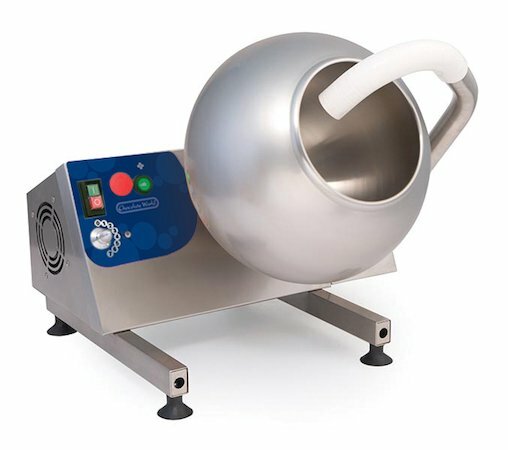 The Chocosprayer by Bakon has been specifically designed as a multi purpose direct sprayer of chocolate, compound or coverture and cocoa butter. 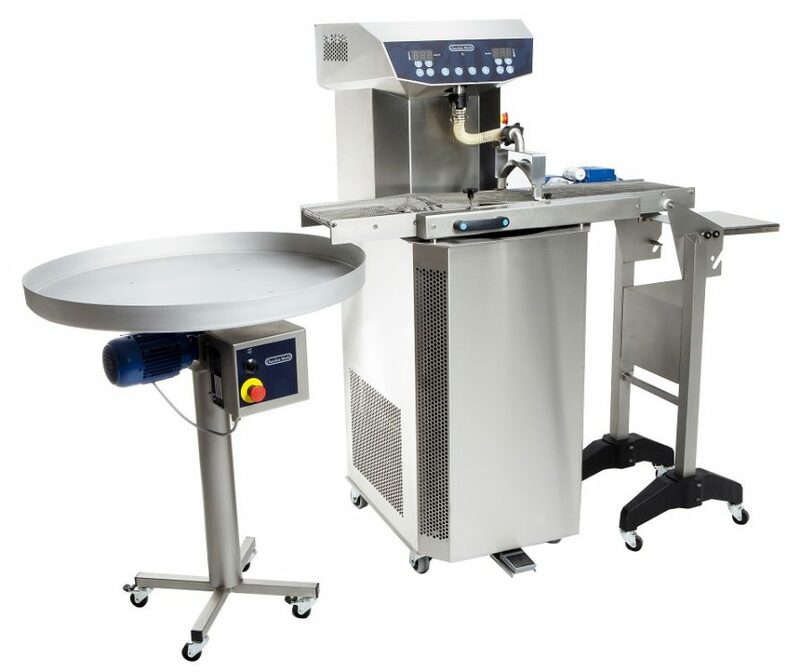 The Chocolate World truffle station is designed specifically for the coating of truffles with the use of truffle shavings, nuts or any similar coating product. 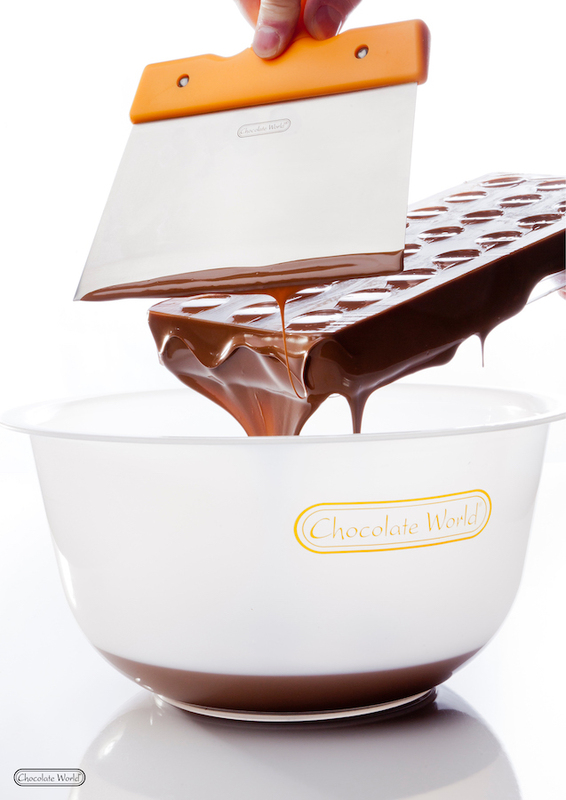 The Chocolate World Panning range is designed specifically to provide consistency and simplicity to the task of coating small products.